It’s not easy to start a page like this, because I don’t want to look arrogant or pretentious. But the Lemon House is to me a special place. Lucky me, I had the chance to travel a lot, to met an incredible quantity of interesting and “important” people. That are important to me, they don’t have to be important to the world. But for my small world, they are. Some of those people eventually spent some times here, at ur guesthouse, and left us what I consider a special memory. 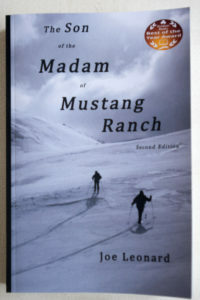 A book they wrote! I really hope those people will come back, and that other will come in the future. But here is a short list. We have a strong relation that lasts since a pretty long time. 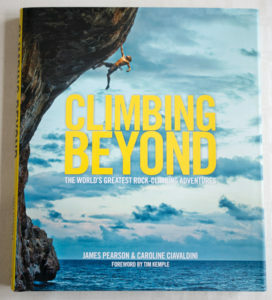 Those two climbers spent a big part of their life to travel to explore, and they did stop only for a short period, just to edit this amazing “coffe table” book, that is a great overview about their activity and the climbing world. It contains as well a loto of images taken by Richard, one of the owners of the Lemon House! Joe is simply… a nice person with a beautiful wife! They showed up by a coincidence, I did not know them, and we spent one of the nicest nights I can remember here on the terrace, chatting about things and facts as we knew each other since ages. It ended up that he has an incredible story, that he put this on paper and everybody should have a go through this words! And moreover, in recent years he moved to Sardinia and established here! Nicole is obviously not from Sardinia, but her knowledge about the island is unique, deep and special. 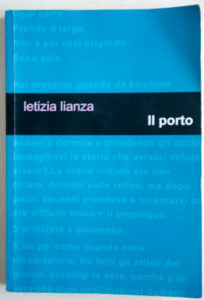 She lives in a boat, in some harbor here in the island, and she decided to write a book. 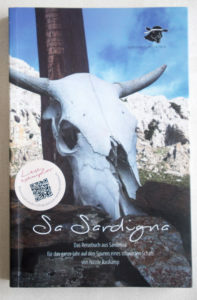 A guidebook, and I would say a pretty special one, so special that I personally am upset it is not translated in Italian or English. (it’s in German). Hoping to push her to make this move… I really advise at least my German guests to have a go through the pages of this “guide”, where you’ll get so many informations about the island that you’ll hardly find anywhere else. And with a special style! Last but not least there is another person to mention, whose book is jealously preserved on my shelf! He actually has never been a guest of our house, he simply passed here for a chat. 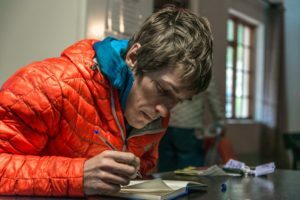 Matteo is a geographer, and one of the deepest experts of the Supramonte hikes (and not only). 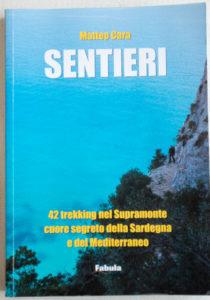 Unfortunately his book os only in Italian, but no other hiking guidebook will ever provide you the precision and the amount of information that are contend in this volume! Peter has never been a guest! He simply has been the owner (and creator) of the Lemon House for 7 years before me and Elena took it over. 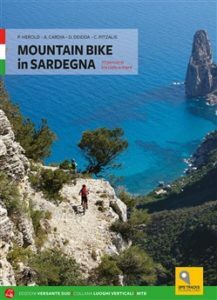 Peter has also been one of the authors of the only complete mountain bike guidebook here in Sardinia! I used to work as a photographer, and that is still a side business for me and a full passion. 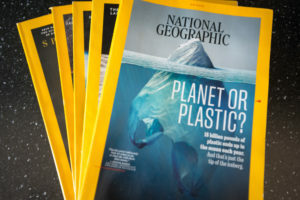 In our guesthouse you’ll find a collection of Italian and English Natgeo issues, where according to my 1.0 mindset as paper lover, I am still a subscriber. Don’t hesitate to grab them for a read through!